Weeks after flames roared down into Sonoma County from the east and laid waste to northern Santa Rosa, scorched cars still littered Coffey Park’s streets and driveways, many framed by puddles of aluminum from melted rims and engine blocks. They were remnants of a neighborhood that once hummed with activity — block parties on holidays, basketball games in the street — nearly all of it reduced to ash, twisted metal and buckled masonry over several terrifying hours in early October. More than 5,100 Sonoma County homes were destroyed in the unprecedented firestorm, which burned on in three major blazes over three weeks. The deadliest and most destructive, the Tubbs fire, claimed 1,347 Coffey Park homes, leaving a relentless gray, umber and black moonscape broken only by the occasional surviving conifer, the even rarer green lawn. 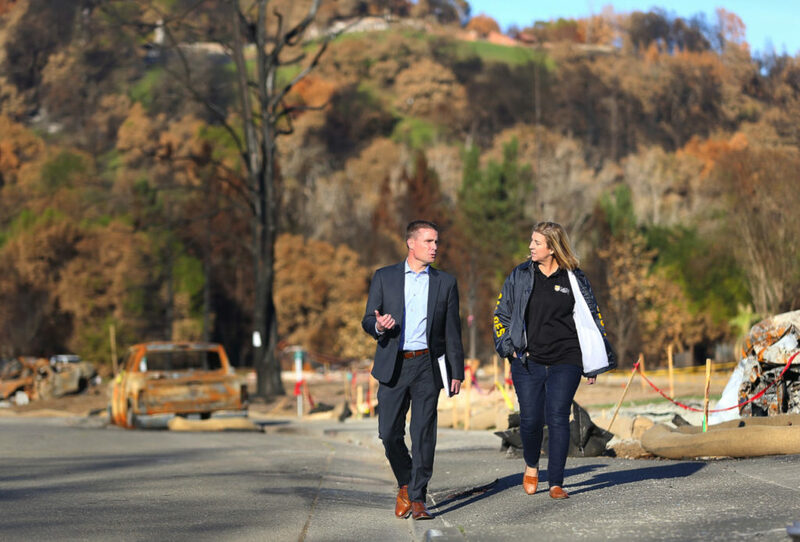 Still, this devastated neighborhood on the western extent of the Tubbs fire represents a frontline in a comeback that began in earnest just a month later. Dump trucks and excavators rumbled into the area and cleanup crews have been at work ever since, day and night, readying the burned lots for whatever lies ahead. 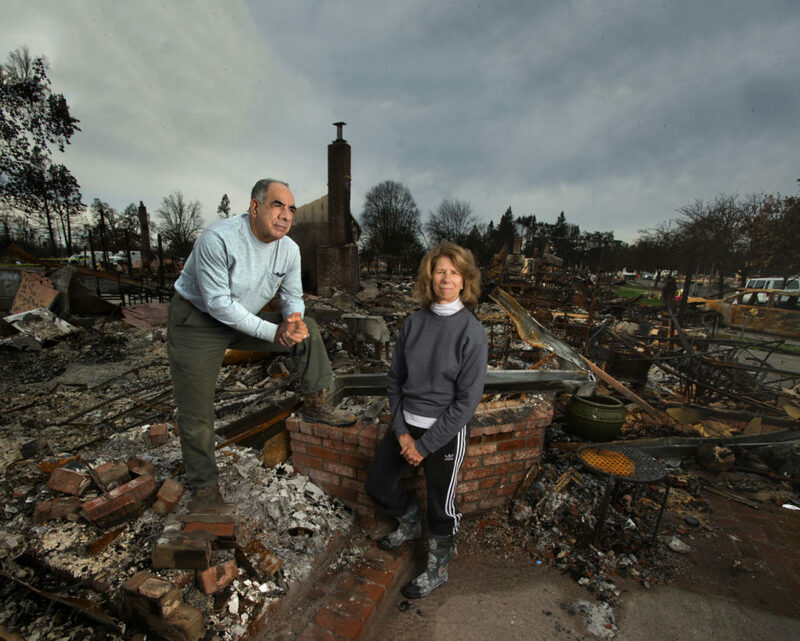 For Tom and Michelle Tantarelli, whose Miller Drive home in Coffey Park burned, along with all the others on their block, there is no question: They plan to rebuild. The path ahead for thousands of other fire survivors in Sonoma County is not so evident or straightforward. The fires exploded out of the early morning darkness and left rubble, tears and so much uncertainty in their wake. They inspired true heroism and generous philanthropy, but they were deeply traumatizing, killing at least 44 people across Northern California — including 24 in Sonoma County — and inflicting emotional wounds that will be as challenging to address as the profound economic upheaval and staggering financial losses, estimated at more than $7.5 billion. The region’s pre-existing housing crisis, the disparate reimbursement rates provided by insurers to affected homeowners and the heavy blow to the local economy, including hundreds of job losses, will influence who decides to stay, whether they rebuild and how quickly they do so, disaster experts say. “You’re going to see some people leave the area simply because their insurance won’t cover the cost of rebuilding. That seems very likely,” said James Lee Witt, who served as director of the Federal Emergency Management Agency under President Bill Clinton and was brought into the area by Rebuild North Bay, a new group seeking to assist with the recovery. About 90 percent of owners who lost homes during the fires, including the Tantarellis, signed on with the federal government to clean up their properties. That enrollment indicates a strong regional intent to persevere and move forward quickly with the work, which federal officials say could wrap up early this year. 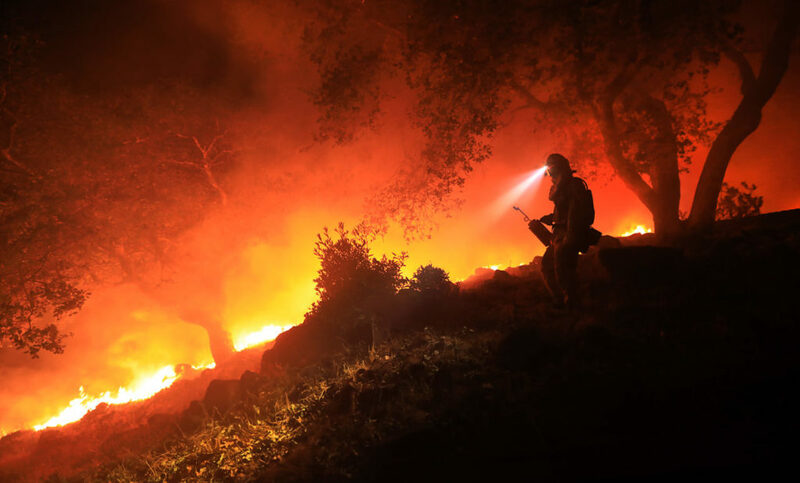 By December, crews contracted by the U.S. Army Corps of Engineers had cleared about 900 burned home sites, leaving thousands more to go in Santa Rosa’s Coffey Park and Fountaingrove neighborhoods, as well as fire-ravaged Larkfield-Wikiup to the north and Sonoma Valley to the south. For-sale signs on burned properties have already popped up in many of those areas, where residents are confronting construction logistics and timelines defined not only by their insurance policies and financial wherewithal but the availability of help — engineers, architects, contractors — and potential payoff once a home is complete. It will be worthwhile to many in the prime of their lives, a lost cause for others. On Miller Drive, at least, the consensus seems clear. Valley and Napa and Mendocino counties in October. The North Bay fires destroyed more than 8,500 structures, including 6,200 homes. Including the deadly Valley I fire in Lake County in 2015, the five major fires torched 400 square miles, eight times the size of San Francisco. 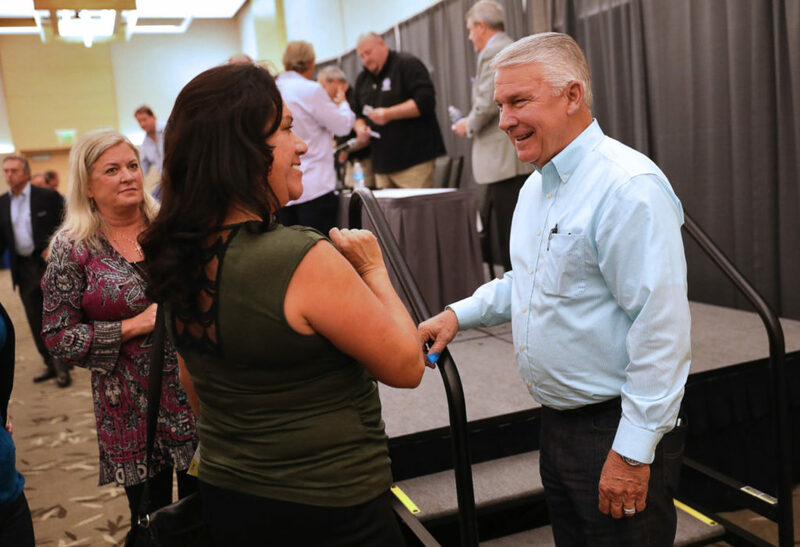 McGuire’s experience in Lake County, where major fires have rampaged every year since 2015, has convinced him that a quick cleanup is an essential first priority to a full recovery. The costs for local governments — in lost property taxes from destroyed homes and businesses — is likely to run into the tens of millions of dollars, he said, straining what’s available to maintain public services, repave roads and pay for police and fire protection. 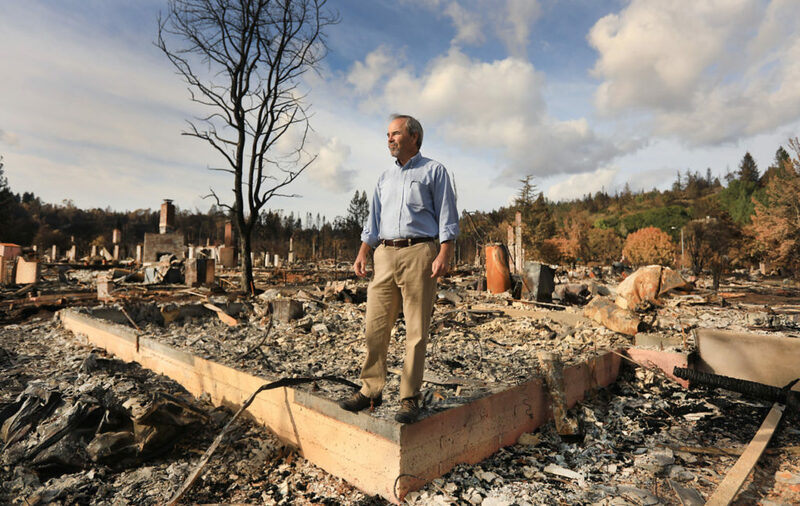 That was clear to Witt, the former FEMA director, whose tour of the fire zone in Santa Rosa revealed ruin almost without parallel in his long career, including 350 federally declared disasters, from floods and hurricanes to wildfires and earthquakes. “It’s one of the worst I’ve seen,” Witt said, noting the scope of physical damage and financial loss weren’t the only factors contributing to Sonoma County’s woes. 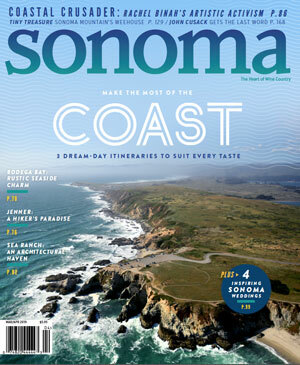 Rebuild North Bay was formed by civic and business leaders, including Sonoma-based developer and lobbyist Darius Anderson, managing member of Sonoma Media Investments, which owns Sonoma Magazine. He drove Witt around after the fires and drafted him to help bolster and speed the recovery. “We want to get our lives back to normal, so it’s essential that we move efficiently and as rapidly as possible. 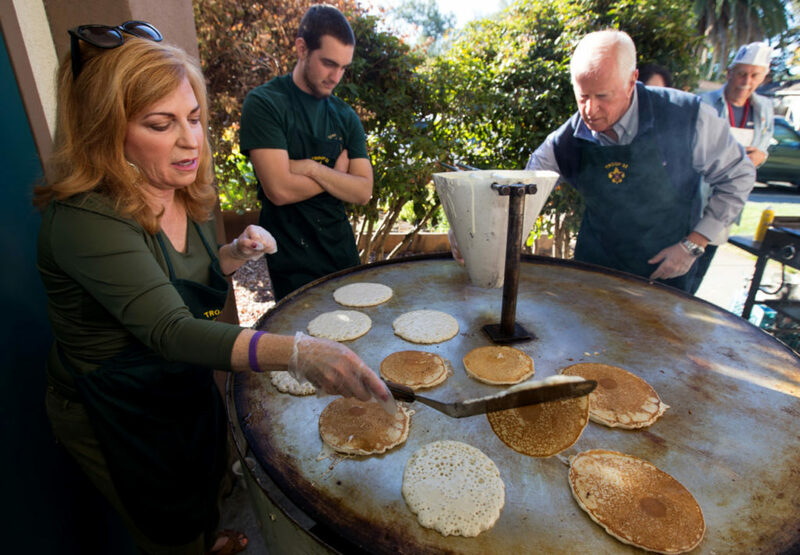 But we have to take the time to rebuild smarter, safer, and greener,” said Anderson. The most dangerous time for disaster victims can be from six months to a year after the event, he said. builds, and ultimately, the anger. You have to keep reminding yourself that it’s going to take time — more time and effort than you think.” a couple of blocks from the Tantarellis, Alice and Ron Daley combed through the ashes of his brother’s rented Coffey Park home. It was late A October, and they were hoping to find something salvageable. They didn’t have much luck. Daley kicked a metal ammo can that looked like a sieve from bullet perforations. It had been full of 9 mm pistol ammo that had cooked off in the flames. 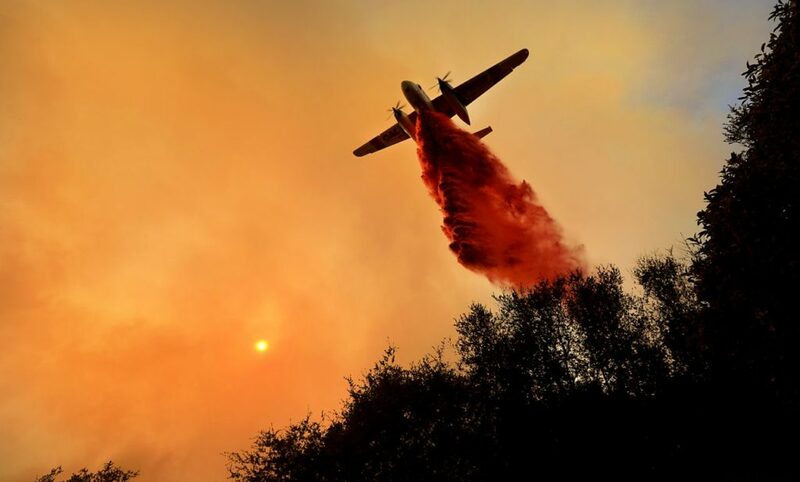 Sonoma County Supervisor Shirlee Zane agrees that for residents on the lower rungs of the economic ladder, the fires have delivered a blow that likely leaves many now hanging on by their fingertips. The disaster took out 5 percent of Santa Rosa’s housing stock, and the fires followed three years of rock-bottom rental vacancy rates in the county. Last year, median home prices soared well above the pre-recession peak. All that means the housing emergency sparked in October is far from over, Zane said. 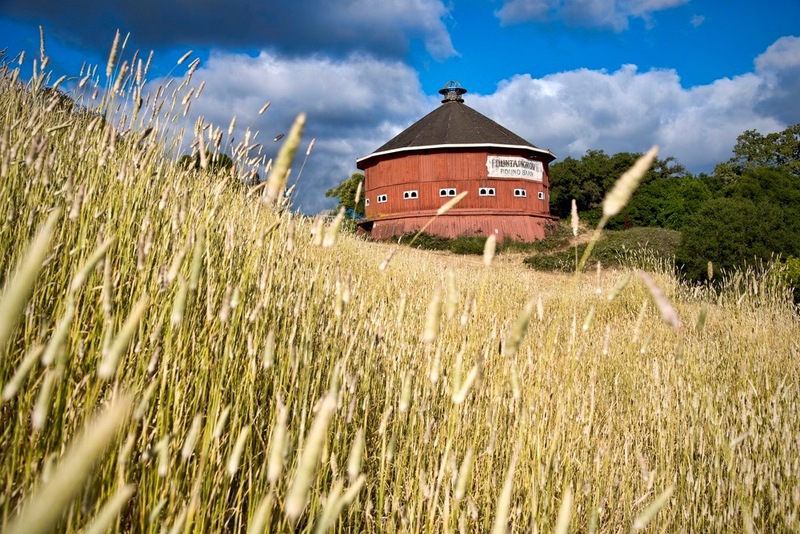 It figures to be a heavy lift for everyone involved: local, state and federal government, relief funds and organizations, the builders who are now laying out ambitious plans for Coffey Park and Fountaingrove, and coordinating groups like Rebuild North Bay. “We have to build back with reasonable expectations about both time scale and equity recovery,” Witt said in early December. “Yes, it’s going to be expensive. O nly one other Santa Rosa neighborhood lost more homes than Coffey Park, and that was in the upscale subdivisions of Fountaingrove. Home to many of the county’s business executives, physicians and government leaders, the forested hillsides and ridges were developed over the past three decades on what is now the city’s northeastern boundary. The last major wildfire in the county, the 1964 Hanly fire, burned through Fountaingrove when it was mostly ranchland. This time, flames incinerated 1,519 homes and killed two residents, including Tak-Fu Hung, 101, the oldest person to die in the fires. Indra Chaliha, a Kaiser Permanente pediatrician, lost her Sedgemoore Drive home to the blaze. She was one of the more than 200 doctors burned out by the fires. Seventy were fellow Kaiser doctors. Chaliha expects to run a fairly long and arduous gauntlet of permitting and construction hassles, but she hopes to be back in her new home with her young daughter by the summer of 2019. The two fled in her car just ahead of the flames at 2:15 a.m., saving little but their passports. 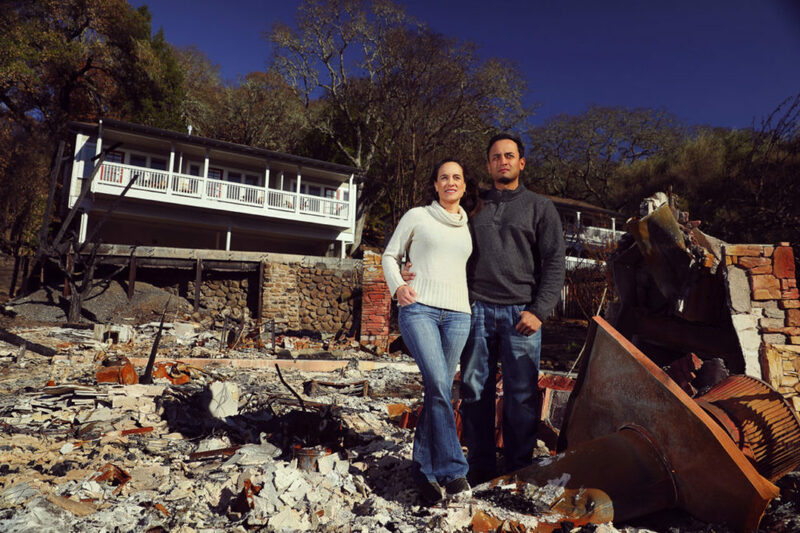 Some of her Fountaingrove neighbors won’t be rebuilding, Chaliha said — particularly elderly residents who feel ill-prepared to negotiate the red tape or disinclined to start anew. Mike Agil, a developer in his 50s, is considering walking away from his property on Bristlecone Court. Agil says he feels confounded by the governmentmanaged cleanup process. He contends it allows private companies contracted for the work to charge inflated prices, which come out of homeowner insurance. 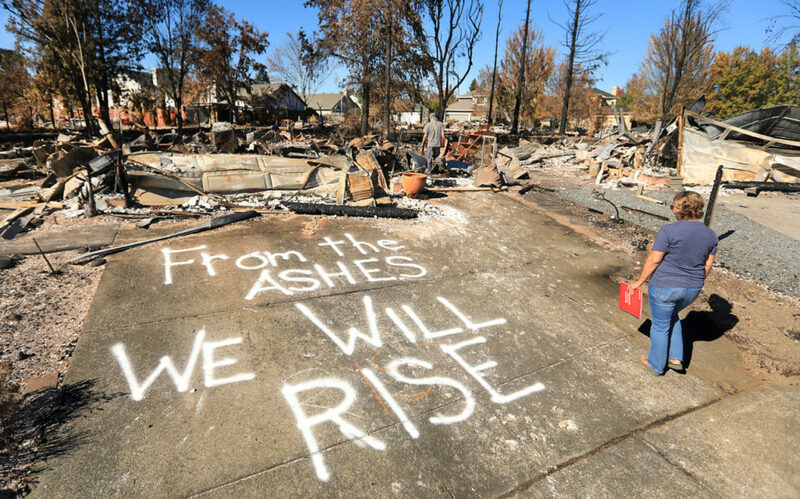 Local building officials and experts hired by the city of Santa Rosa have concluded that the temperatures and duration of the firestorms that ravaged Sonoma County make any surviving foundations unsalvageable. K But Santa Rosa Mayor Chris Coursey said he understands the general frustration. He’s been feeling it himself in an ever-pressing list of needs, questions and tasks since he was roused from sleep at 2 a.m. October 9 by City Manager Sean McGlynn and asked to issue an emergency declaration. “I’ve been talking to stressed people every day,” Coursey said in mid-November. “Some are depressed, others are yelling or crying. All of them have good and legitimate reasons for their responses, but we can’t deal with the 3,000 homes that were lost on a case-by-case basis if we’re going to get anywhere. I have to think of what’s best for the city as a whole.” eith Woods is a quick-witted, voluble spokesman for the local construction industry. In his time, he has seen market crashes send building activity into freefall and boomlets that translated to hundreds more high-paying jobs in the trades. But he has never seen anything like the landscape now facing contractors. “The latest estimate I heard is that we’ll need 19,000 construction workers to do what needs to be done. And not only do we have to develop this workforce — we have to find places to house the workers. That’s going to be incredibly challenging, given the housing shortages we’re facing,” said Woods, CEO of the North Coast Builders Exchange, a trade group. For those intent on rebuilding, “finding or choosing housing plans and hiring architects and contractors will take a lot of time and effort,” Woods said. Unlicensed contractors and potential scams are other perils, he said. In the Larkfield-Wikiup and Mark West area north of Santa Rosa, the challenge is plain to see. The Tubbs fire wiped out whole neighborhoods at Larkfield’s crossroads entrance after churning for miles along the area’s rural roadways to the east, claiming 1,500 homes in the sprawling Rincon Valley Fire District. “It’s still horrible, having to see what the fires did here,” said Joanne Martensen, the owner of Bon Appetit Gift & Card at Larkfield Center. The little shopping complex escaped largely unscathed from the flames, but it’s surrounded by a wasteland of burned-out homes and apartment complexes. “We were closed for 10 days during the fires, but people started coming in as soon as we opened back up,” Martensen said. 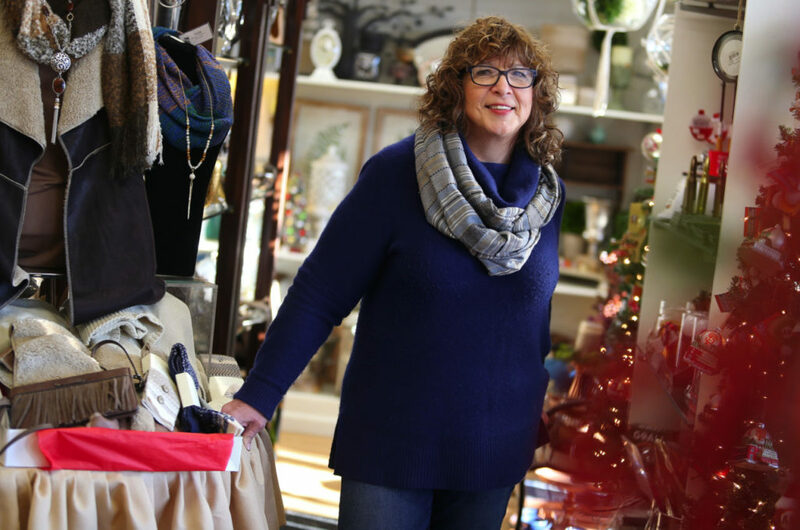 The store is one of many cherished shops and restaurants countywide that survived the flames, offering residents a gathering place to reestablish routines and connections that lie at the heart of civic life, that speak of community and continuity. “My customers tend to be very local. We know them, they know us,” said Martensen. “People want to talk about their experiences, but they also want to see if we still carry items they bought for their old homes, so they can have them when they rebuild. More than one customer told me they just wanted to come in because this was their happy place, they feel at home here. It’s familiar. It gets very emotional at times, but it feels good, it feels that we’re all in this together.” similar atmosphere of solidarity prevails in the Sonoma Valley, where the Nuns fire scorched more than 500 homes. Sia Patel, who owns the small and elegant Olea Hotel in Glen Ellen with her husband, Ashish Patel, agrees with Dalton that people in valley are mutually supportive and remain generally upbeat. Though the hotel sustained partial damage and is closed, Patel said she is grateful that her home was spared. As for when the couple will reopen the Olea — that’s still up in the air. Patel’s intimations are no doubt correct. Sonoma County as a whole will endure years of inconvenience, dust, detours and stress as it rebuilds. But just as there was a frightening implacability to the fires, there seems to be an inevitability to the reconstruction. “I have no doubt the county will come back better and stronger,” Witt said. In time, the Patels will repair the Olea Hotel, and once again accommodate guests touring the wineries and restaurants of the Sonoma Valley. For now, they’re counting their blessings, not their woes.